Capital 8 Theaters in Jefferson City, Missouri is coming under fire this week for a publicity stunt it pulled for the premiere of Iron Man 3. 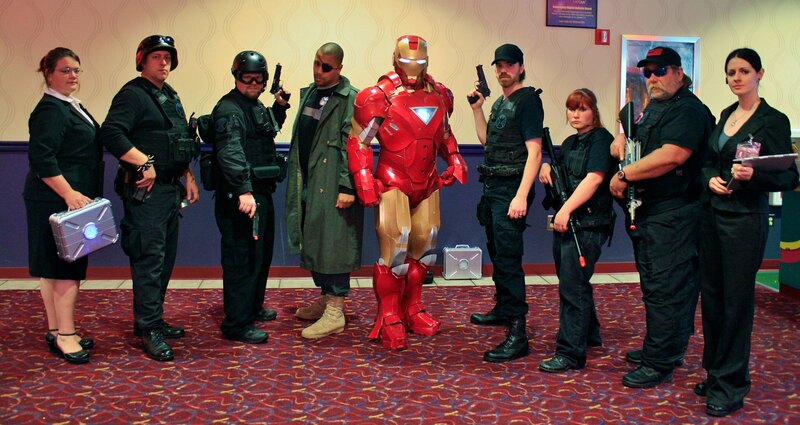 To promote the film, several people were hired to dress in full tactical gear with fake weapons and storm the screening. Several 911 calls were fielded by the local police office from theatergoers who panicked at the stunt. “We’re just getting into the car when I spotted a man in full assault gear, carrying what appeared to be a modified M-4 and 9 mm on his side,” one patron, an Army veteran, said. Given the shootings that occurred at a midnight screening of The Dark Knight Rises in Aurora, California last year, one has to wonder how anybody could possibly have thought this stunt would be a good idea. But the manager of Capital 8 Theaters, Bob Wilkins, defends the stunt, and claims it was planned months in advance. “My job is to entertain people,” Wilkins told the press. This stunt, of course, goes above and beyond projecting a movie and selling popcorn. Wilkins and his staff did have somebody in an Iron Man costume, but it would be far too easy to mistake supposed “S.H.I.E.L.D. agents” as something more sinister. Somebody’s taking his job too seriously… or not seriously enough. via Gawker. Photo via Imgur.